So.......video number two, the first one went so well this one was going to be a breeze right? Wrong!!!! I chose to film it on the day Bertha came to England, the wind was howling outside, the rain was hammering the windows and my little furry monster was barking at everything that went bump in the wind! Needless to say all of these sound effects weren't exactly 'enhancing' so I opted for the voice over. 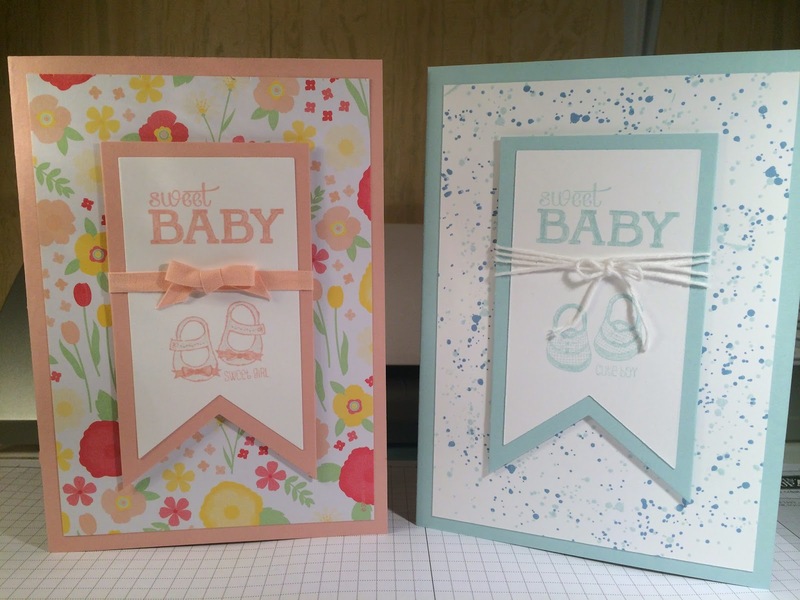 I recently bought the Baby We've Grown stamp set and made the cute baby girl card; I was really pleased with how it turned out so decided to make the boy version on screen.